Deeper Smartcat integration. 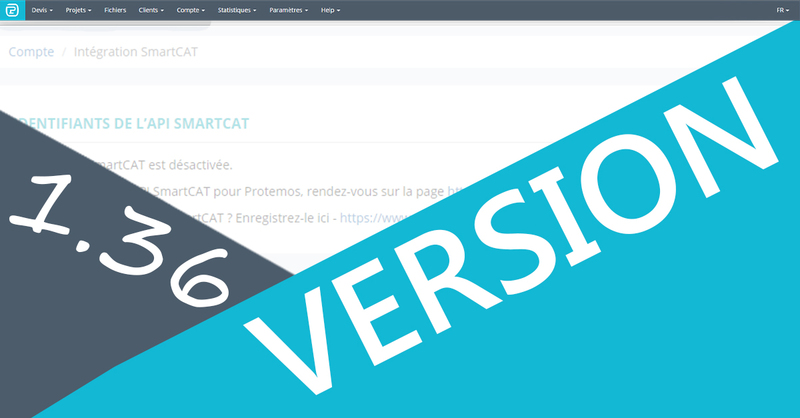 Now you can create Smartcat projects from Quotes and create Protemos projects from Smartcat projects, so no longer need to create Protemos project first. Links of vendor profiles to Proz.com profiles. If your vendor has Proz.com account with the same email as in Protemos, the system will display the link to that account of vendor’s page. More info here. Invoice customization started. We can now create customized invoices for Enterprise accounts. So if you are using Protemos as a company and need to adjust your invoice template, please send us the sample and we will adjust it for your Enterprise account. Minor improvements. Filters added to financial reports, countries added to the list, minor bugs fixed.